What is MOHELA? MOHELA (pronounced mo-HEE-lah), aka the Missouri Higher Education Loan Authority, services millions of borrowers as one of the major contractors hired by the government to service federal student loans. It was founded in the 1980s as a private, non-profit organization sponsored by the state of Missouri to do a public good. Some of these are frustrating because the borrower has little control over them. However, some of the issues we’ve described here can be mitigated or even avoided altogether with better borrower knowledge. We recommend you do your research thoroughly to make sure you’re getting the correct information. Your servicer may not always communicate the right way. The public good MOHELA did, for the majority of their tenure, was administering FFELP loans. In recent years, the government has contracted them to service other kinds of Department of Education loans, like the Direct Loans and Perkins Loans programs. They also service private loans. In 2015, all Direct Loans that had previously been serviced by Aspire Resources, an Iowa-based organization, were transferred to MOHELA. We’re here to look at some of the problems consumers have had when dealing with MOHELA. We hope this leaves you empowered with knowledge and maybe with better context with your own loan servicing issues. MOHELA manages a huge amount of loans held by borrowers nationwide, so while there are plenty of complaints to sift through in the Consumer Financial Protection Bureau database, the Better Business Bureau website, and various other places around the web, they actually have a relatively low number of publicly posted complaints compared to their size. That being said, there are complaints we found that may point to underlying issues that need to be addressed within MOHELA. All servicers need to contact the borrowers they work with at some point. For many borrowers, problems can arise and compound when their servicer cannot reach them. However, when other servicers may claim they did their due diligence after one or a few attempts, MOHELA does not give up. In fact, they may go too far. This issue has two sides. First, MOHELA tried to contact borrowers whose account recently became delinquent. Several borrowers spoke about how after one missed payment, MOHELA launched calls to their homes, workplaces, and family members. Often family members were not listed on the borrower’s account, but contacted through skip-tracing. Borrowers felt this was excessive given they were often just one payment behind. Some claimed to not actually be delinquent at all, but having paid on time or having been in forbearance. The second side shows a different point of view: family, friends, and acquaintances of a (possibly) delinquent borrower. Complaints detail how they were called multiple times a week, sometimes multiple times a day, and were confused by the source of the calls given they did not have any loan associated with MOHELA. Some call recipients called back only to find they were being contacted because someone in their life, sometimes an ex-spouse or old friend they hadn’t seen in decades, was delinquent on their loans. Some recipients of these calls were elderly and just wanted to be left alone. Some asked to be taken off the list; sometimes that worked, sometimes the calls kept coming. Still, given that these folks aren’t even the debtors, the number of phone calls many people received is troubling. One instance was a case of mistaken identity, where the recipient of multiple phone calls from MOHELA was not a borrower, nor a friend or relative of the borrower, but simply had a similar name to a debtor. When they repeatedly told MOHELA they were not the right person and they must stop calling, MOHELA insisted they needed to write a formal cease and desist letter. Second, you can tell the organization calling you to stop. This might be achieved through a simple phone call of your own, if you specifically tell them to take you off their list, especially if you owe no debts. Even if you do owe money on a loan, there are still laws that protect you from being harassed by phone calls. If a verbal warning to the caller isn’t enough, a cease and desist letter sent to the organization might be your best option. You might want to have a lawyer look over the language, especially so you don’t accidentally imply that you might be a debtor to a certain loan when you are not or agree to anything you did not wish to. The truth about loans is that you don’t have much control over who holds or services them. What does this mean? With federal loans, your loan servicer might switch to any other servicer authorized to handle federal loans. With private loans, your loan could be sold to pretty much anyone. This is an unfortunate aspect of owing money. That being said, the transfer of loans to or from MOHELA has brought up some issues, especially concerning the mass transfer of loans from Aspire to MOHELA. Here’s what we found. For some borrowers, their loans were being reported to the credit bureaus by Aspire as delinquent when they had in fact just been transferred to MOHELA. (To be fair, we’re not sure if this is a problem with Aspire, MOHELA, or both!) For other borrowers, their loans were being reported by MOHELA, which was their actual servicer, as delinquent when, in fact, the loans were current and recently transferred from Aspire. Another thing that got lost in the transfer was documentation of payment histories. A few borrowers claimed they requested their payment histories on their loan for various reasons after the transfer had occurred from Aspire, only to be delayed or evaded entirely by customer service. Repayment schedules and payment obligations went haywire in some cases. For example, a loan that was set to be paid off in less than a month suddenly was scheduled to be paid off in two years. For others, their monthly payment shot up by a huge factor due to an unapproved change in their repayment term. Then, to solve the issue, they were put into forbearance as they were switched back to the original plan from the plan they never asked for in the first place. 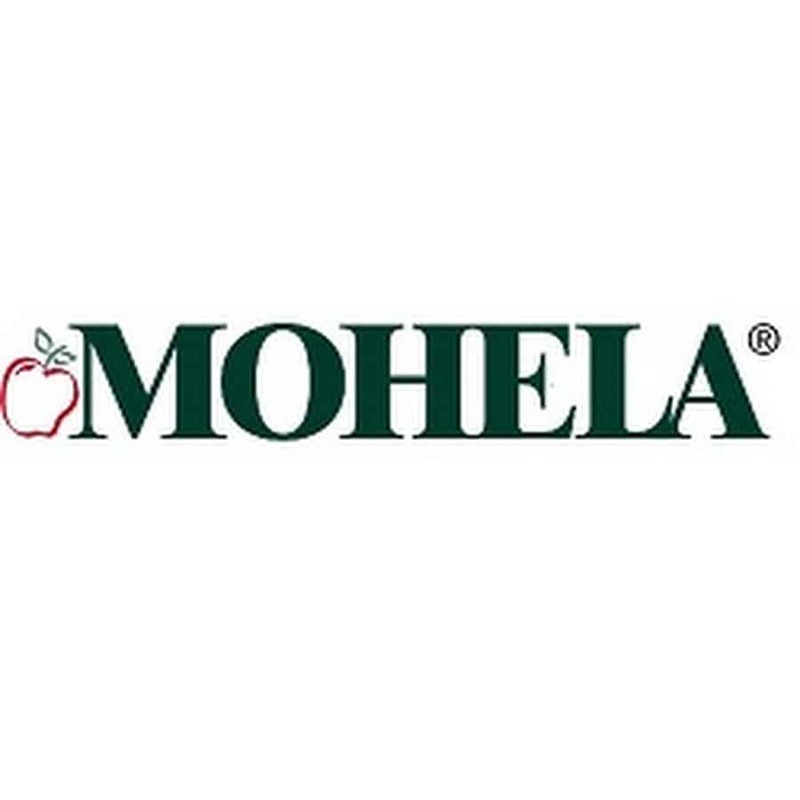 MOHELA does address on their website that changes in repayment terms after a transfer are possible, but poor communication and confusing rules seemed to throw many borrowers for a loop. One borrower was unsure how many, if any, qualifying payments they had made. They had already switched to a qualifying loan, but was unsure how many qualifying payments they had made. The borrower contacted the Department of Education, who told them they couldn’t find out and referred them to MOHELA. One borrower had made nine years’ worth of payments on a plan they were assured by MOHELA qualified for PSLF. They just realized at the time of their writing they were not making any qualifying payments. Similarly, another borrower specifically asked to enroll in a PSLF-qualifying repayment plan, only to realize several years later they had not been. Yet another borrower was on the verge of making the full 10 years’ worth of payments when they discovered that none of them qualified for PSLF. MOHELA has started servicing some loans on behalf of SoFi. As you know, SoFi is one of our favorite student loan refinancing companies. It's important to note that refinanced student loans are private loans, and so the rules that govern them are a bit different than Federal student loans. We haven't seen or heard any problems with regard to SoFi loans being serviced incorrectly. However, as with any loan, you need to be vigilant. Nobody cares more about your money than you do! A big part of keeping up with your student loans is making sure that you are following up and making sure everything is correct with your loans. Some of these loan servicer issues are frustrating because the borrower has little control over them. However, some of the issues we’ve described here can be mitigated or even avoided altogether with better borrower knowledge. We recommend you do your research thoroughly to make sure you’re getting the correct information. Your servicer may not always communicate the right way. And while we didn’t cover all the available complaints about MOHELA, many of them are typical grievances against servicers like misapplication of payments and conflicting information. We want you to stay alert about the status of your loan and double-check the work of your servicer. With luck, you might not have any problems at all. They work with you to assess your loan situation and help you figure out the payment plan that fits you best. Have you ever used MOHELA student loan servicing or experienced any of these issues with a loan servicer in the past? Natalie Korman helps people get out of student loan debt. She is a writer and editor by day and a poet by night. Natalie also enjoys hiking, theater, and wandering around bookstores. If someone could please get ahold of me from this site I would appreciate it as soon as possible. Concerning identity theft issues. Mohela’s records state that my first disbursement was in 2008 or 2009, I would have to get my monthly statement to know which year it is, and though I tried to get them to change the date which was in 1999 of my first disbursement, they have kept it the same from the very beginning. Also, a few years ago, they began having me renew my loan, online, with the Government loan process and I still cannot figure out why they want me to do so. Though they finally began reporting how much I was actually paying which was income contingent so it was 0 at about the time they wanted me to start renewing my loan debt online with the Government, I am a little frustrated with them and how they have handled everything. Sofi sent my son’s college loan to Mohela and he paid his bill but they keep contacting him and us saying its late. They call but leave an automated phone system number to contact back. How long does it take for them to actually process a payment? Something sounds really illegal if they are taking weeks to process a payment to purposely charge late fees. Hi Linda, I’m curious if the issue you reported has been resolved with your son.I am researching various lenders to consider refinancing and SoFi is on my list. The company charges interest on a daily basis. The loan may have fell behind due to various reasons i.e., late payment, forebearance, consolidation, not meeting min interest due (by the way interest is added to total). Advice talk to rep, involve federal consumer protection agency, force change through political pressure for transparency. I despise MOHELA. I never had a problem with Aspire. With MOHELA, it seems like all I get are referrals to other offices within the company, and no one ever actually answers my questions. Currently, I’m dealing with PSLF misinformation. When I applied three years ago, I was told I had been disqualified from the program because I had put my loans in forbearance for a year. Now I’ve learned that’s not true, so I’m wasting more precious time trying to rebuild my payment history and whatnot. MOHELA has United Airlines-levels of customer service. Once you send in your PSLF loan certifications, your loans should transfer to FedLoan Servicing. Dealing with MOHELA is a nightmare. They have been servicing an old loan of mine, and everything was fine until I went back to school. Near the end of my program, I took out another loan that was serviced through MOHELA. I paid off the loan within three or four months of finishing the program. My paperwork to take out the loan clearly states, I would owe no interest or loan fees if I paid within 120 days. Well, MOHELA staff are under educated on student loan programs. I called it to make the payoff payment, and the staff had no knowledge of no interest or loan fees within the 120 day period. They insisted that I pay interest and loan fees in order to pay off the loan. It took over a dozen calls over a period of over a month to get the matter cleared up. MOHELA works for me only if I don’t have to contact them. The same thing happens to me. I paid $4,000 towards a $21,000 parent plus loan within the first 120 days. However, they charged me interest on the entire amount and would not credit me any money back for loan origination fees. I explained it to them a dozen times – to no avail. I finally wrote a check for the remaining balance and paid them off. Now they will not even allow me to access my account online because they KNOW they owe me money! I paid $2,000 in interest and had the loan for a total of 7 months! Hi! I am stuck in one of those spousal consolidation loans that they got rid of because they were so bad. In hindsight, it was a huge mistake but we had 5 loans, 1 was mine for $2000 and 4 were his for $8000 and so we consolidated into one payment. Later we divorced and he took the loan and I paid him for my portion through the divorce. Then he stopped paying but because he kept the house, I was never notified. He never paid child support (still owes me today and my kids are 24 and 26). So while we were living in poverty, they started garnishing my wages because the loan went into default. It took me about 5 years to get out of default because I lost my job a few times. All the while trying to fight and find a way to get them to go after him, I eventually decided to finish school myself, so there was a period that I was able to get it deferred while I was in school. So now, 30 years after I went to school and 25 years after we consolidated, I have paid just more than $30,000 towards a $10,000 loan and still owe $29,000. I realize that if I can’t get my ex to pay child support, he certainly isn’t going to pay his student loan but surely I’ve paid mine and his debt? Any ideas because so far, no one has had any! Negative, you’re in a bad spot. Was there an agreement in the divorce around child support and the student loans? I’d at least get a lawyer involved to sue him and get a judgement so maybe you’ll get paid back someday. Beyond that, if you’re taking the loans on 100% anyway, you could look at refinancing into private loans to save on interest. This only works if you can afford ti. This is why we hate spousal consolidation loans. Mohela refused to allow me to pay down the principal. Instead, They paid my account in advance. I was a year and a half in advance. This became a problem when I applied for loan forgiveness. None of those advance payments counted towards my ten years of payments. So, I have an additional 18 months of payments to make to get my loan forgiven. If you are part of loan forgiveness do not pay your payments more than 30 days in advance. They will not count them. MOHELA has an abusive attorney who threatens handicapped people when they ask a simple question. They are all obama appointees. I am filing charges against the lawyers in Georgia. They must lose their contracts. I’m going to file a complaint with the Usdoe inspector general. If you are having issues paying because of interest rates increasing, you may have the Trump administration to thank for that. Only a “current” president can affect the US interest rates. I went to school for one semester which was supposed to be 100% by federal grants. I spent what seemed like an hour on the phone with a financial advisor explaining loans and how I would not need one only to find out someone took out a loan from mohela, which i never heard of btw, in my name. I have tried everything I can think of to get this fixed. I didn’t see a penny of this money but am stuck with 2 semesters of bills and threats for loans I never took out. MOHELA is claiming I owe them over $1000 because they increased my payment by over $500 a month without giving me ANY notice what so ever. The last notice they gave me was in July of 2018. Last year, I gave them permission to access my IRS income tax records to verify my income. That was over a year ago, so when I found out about this $1000 debt they owe me, I went to their site and checked into my account. I immediately navigated the site to find how I could give them permission to access my IRS account AGAIN – even though I had already done it. But 3 days later and STILL the balance on my account shows that I owe over $1000. This is not accurate. I need MOHELA to update immediately. It sounds like you need to re-certify your income. You can do it on StudentLoans.gov as well. Paul: You can call MOHELA at 888-866-4352. You may also call me on my direct line at 314-568-8457. My name is Ray Bayer and I am the CEO of MOHELA. I am always happy to work directly with customers. Thank you.